I moved to S Yorks from Michigan when I was young, foolish, and madly in love. I’m still here, still foolish, still in love, and … yep. I’ve also acquired British citizenship, and a right dodgy accent. Ever wondered what a South Yorkshire-American accent sounds like? Tune in to “Book It!” on the last Saturday of the month at 10 am on Sine FM With technical & emotional wizardry from David North, “Book It!” features author interviews, book reviews, and stories by writers from Yorkshire and beyond. My dark fantasy, “The Woodcutter’s Son“, is available from Amazon, as are two short story collections, “What! No Pudding?” and “Koi Carpe Diem“. Banner art above is by the fabulous Tom Brown. Tom is the artist who created the covers for “Pudding” and “Koi Carpe”, and who drew four illustrations – including Lance the unicorn, pictured in the banner art above – for “Koi Carpe”. I live in Doncaster with my husband, a Cat Who Came to Dinner, and a Dalek named Gerald. Proud to be part of Time to Change, and The Bipolar Blogger Network. Make Gerald’s day: send him a comment! Dear Gerald. He’s like a son to us. Because we’re both quite weird. I like your Dalek and Tardis! Thank you! 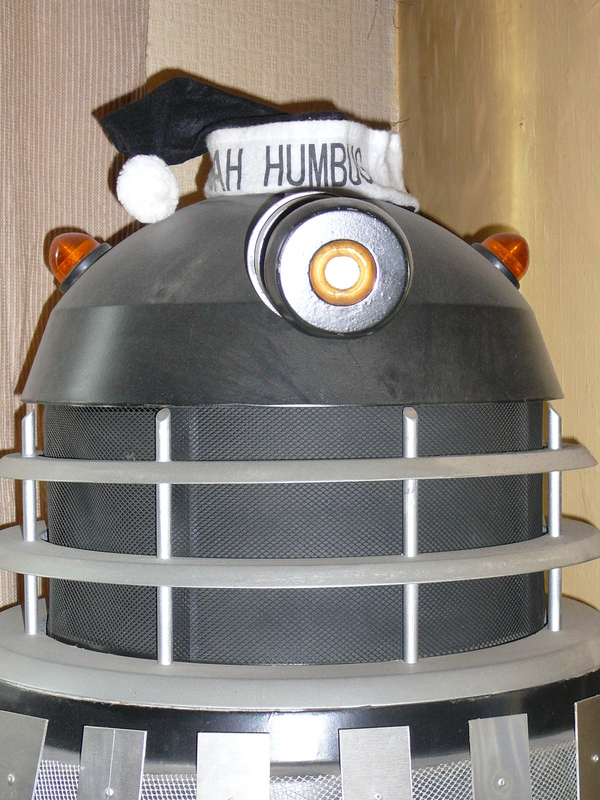 Alas, only the Dalek is real… well, Gerald *thinks* he’s real.